I've told you in the past that congestive heart failure is usually the result of a nutrient deficiency. But now there's evidence a common painkiller is also to blame. And to make matters much worse, if you have the nutrient deficiency and take the painkiller, it could completely destroy the health of your heart. The nutrient I've told you about is CoQ10. 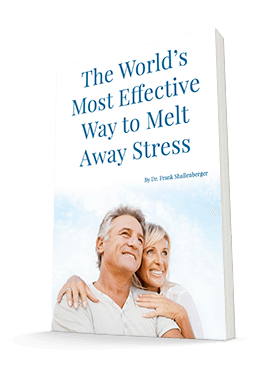 It's a major cell energizer that helps keep your heart energized and pumping normally. Without sufficient levels, your heart's energy level plummets, causing heart failure. A major cause of CoQ10 deficiency is statin drugs, which stop your liver's production of the nutrient. The common painkiller is any non-steroidal anti-inflammatory drug (NSAID), such as ibuprofen. Researchers just discovered that these common pain pills increase your risk of heart failure by 30%. The United Kingdom study followed patients for three years. All of them were between the ages of 60-84. The researchers found the following factors increased risk for a first hospital admission for heart failure: previous diagnosis of heart failure, obesity, smoking, and a history of recent specialist appointments and inpatient stay. Fourteen percent of the patients were taking NSAIDs at the time of their admission. That compares to 10% of a random comparison group. The numbers could be greater if you have additional risk factors for heart failure, such as diabetes or hypertension. The drug indomethacin carried the greatest risk. If you take it, you're three times as likely to go to the hospital for heart failure as those not taking the drug. Most of the patients took the drugs for osteoarthritis pain. This study showed very clearly what I've said for years - NSAIDs are poison. They cause heart attacks, bleeding, erectile dysfunction, joint destruction, and now heart failure. But what the study didn't show is that you increase your risk of heart failure significantly if you take statins to lower your cholesterol and NSAIDs for pain. You might think that taking both drugs would double your risk. But it could be much worse. Sometimes two or more factors can work together to multiply the effect. So if the painkillers increase your risk of heart failure by 30%, the painkillers and statins together could increase your risk substantially higher. We don't have any studies to prove this is the case, but it's quite possible. Your best line of defense is to take 100-200 mg of CoQ10 daily. If you take a painkiller too, you should increase that dose to 200-400 mg. But, of course, I think you should completely avoid both drugs. There are much better ways to beat high cholesterol and chronic pain. I've written about both in depth. Subscribers to my newsletter can read these articles for free on my website: www.secondopinionnewsletter.com. Ref: Heart Online First, "Common Painkillers Linked To 30% Raised Risk Of First Hospital Admission For Heart Failure," 22 May 2006; doi 10,1136/hrt.2005.082388.